MRIMed Pediatric Trolley is specifically designed for the safe transportation of infants and young children to the MR suite. 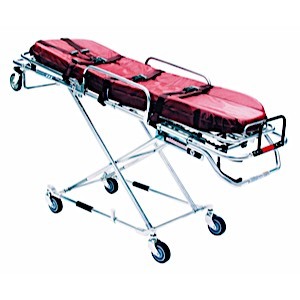 MRIMed transport Stretcher is MR Conditional to 3-Tesla or Less. It utilizes a manual backrest and includes a burgundy Bolster Mattress and three black patient restraints.